Maintaining a garden can be a time consuming task, especially since more and more people are juggling two or more jobs with family responsibilities plus household chores. However almost everyone agrees that spending time in your own garden can create a sense of calm and serenity. 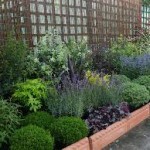 A low maintenance garden can be achieved with spending less than 2 hours every fortnight. Your garden wouldn’t look like one out of a magazine cover, but you will be able to achieve a laid back, real life space that you can be proud of. Your lawn can be the most time consuming feature in your garden. Overgrown lawns can make your garden look unkept. To reduce mowing every few days, increase the length of your grass. Further, reduce the size of your lawn by placing a mixed bag of pebbles. Pebbles are very low maintenance and provide a sense of order. Its great to grow your own vegetables/ fruits, but an organic patch can be time consuming. 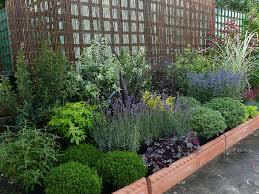 Instead, purchase your organic produce from your closet organic grocer and plant a low maintenance herb patch. A herb patch will maintain itself and when in season, you could always freeze the excess herbs. Stick to a simple set of lavender, daffodils or anemones and refrain from purchasing plants whenever you pass your local garden centre. Create a plan for your garden and work toward buying plants that fit into your plan. This will ensure you maintain a structured look that requires less maintenance.